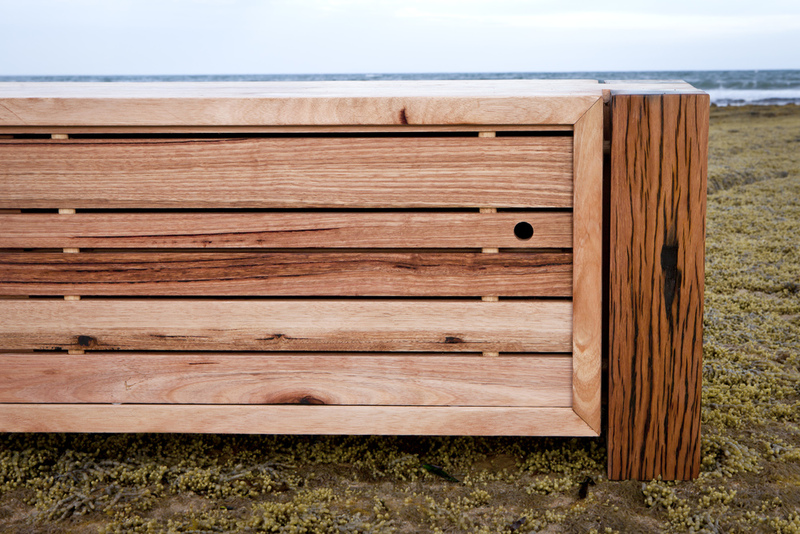 Inspiration for this beautiful custom TV unit came from the recycled Blackbutt timber that became the legs of the piece. The piece evolved around wanting to show off the chunkiness of the legs whilst creating visual and dimensional balance. 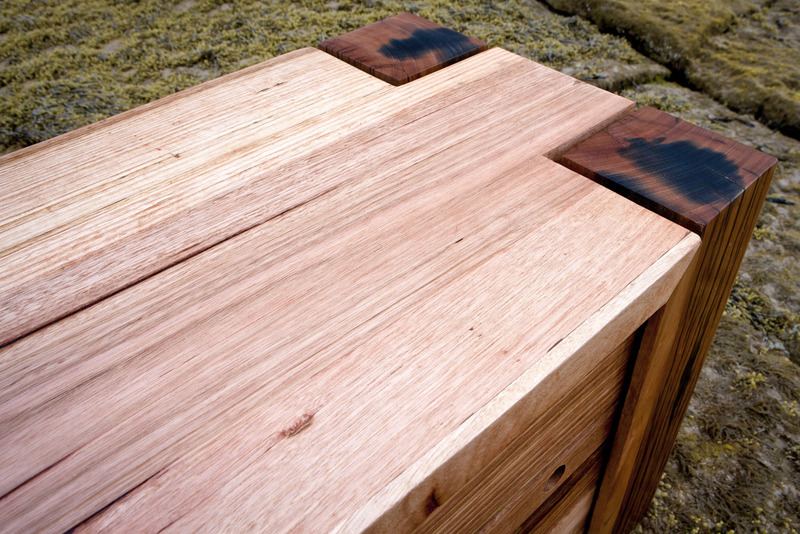 The recycled Blackbutt legs are full of tiger grain feature from exposure to weather and iron leaching from bolt holes. 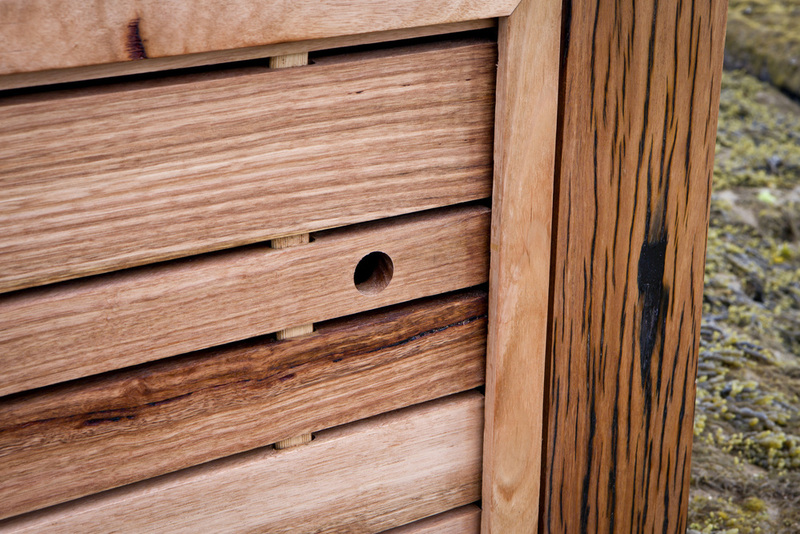 Heavily figured recycled Messmate was chosen to balance off the piece to form the shell and doors. The internals of the entertainment unit was custom designed to the clients dimensions to perfectly fit their technology and DVD collection.